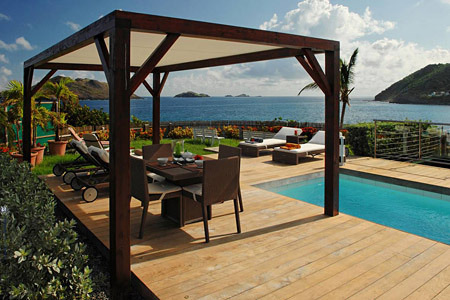 Many of us have just returned from another great trip to St. Barts where we did our homework for you by inspecting and re-inspecting our villas and hotels in order to ensure that you Live Your Dream® on beautiful St. Barth while you vacation there. 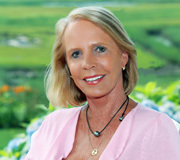 Kathy Schlitzer, one of our very experienced Villa and Hotel Specialists, shares her trip report in this guest blog. It’s a good travel day when all your connections are on time and everything goes smoothly. Such was the case for my recent working trip to St Barth. 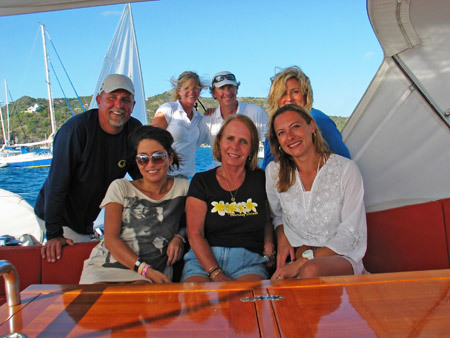 I arrived in St Barth on Tradewind Aviation from San Juan. You’d think after all these years it would be old hat but I’m always excited to be landing on this beautiful island. The weather was glorious and seeing all the familiar faces at the airport is like coming home. Odile at Gumbs Car Rental and our St Barth Properties booth had my car ready and I was off to my first accommodation, the Hotel Taïwana on Flamands Beach. The Taïwana is under new management and I was anxious to experience the hotel, the rooms, beach, common areas, and get to know the staff. Felipe, the manager, took me on a tour of the rooms and explained the changes planned during the September and October hotel closing. He was excited about new furniture, painting, renovation of the remaining bathrooms, and pointed out the already completed improvements to the gardens. Carl, the beach manager, had my beach chair saved and ready for me each morning. Jeremy at the bar was a delight. I was his tester for several newly created cocktails; he is an artist behind the bar! All in all I had a wonderful experience and highly recommend the Hotel Taïwana for our hotel clients wanting to be on Flamands Beach. With the addition of the Hotel Taïwana we now have two great luxury hotels on Flamands Beach, and congrats to the Hotel St Barth Isle de France for recently receiving 5 star status. 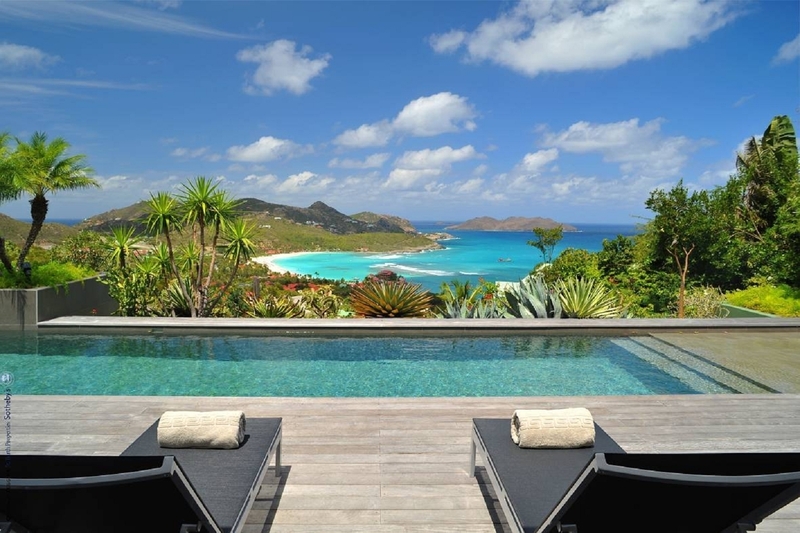 After three too short vacation days I was ready to commence my villa visit schedule and move to Villa Privée with my colleague Julia Hurd, our St. Barth Properties US office’s Concierge. I started my visits with a bang at Villa Vitti, a 5 bedroom Grand Cru villa located above Shell Beach. Vitti is a fabulous house in a great location. The villa is perfect for couples and families and has the unique ability to host large events and parties as well. The chef’s kitchen has table service for 100, and on the lower level there is a ballroom set up with professional disc jockey equipment and even a disco glitter ball! The morning after party guests needing peace and quiet can escape to the peaceful Zen garden off the living area. I wish I could give you a rundown of all the villas I saw but there were far too many to list in one trip report. I typically concentrate on houses that are new to us, newly renovated or added to, and houses I haven’t seen recently. Villa Seascape for instance is a fabulous new 6 bedroom modern and comfortable villa in Pointe Milou. The views in that area are breathtaking. 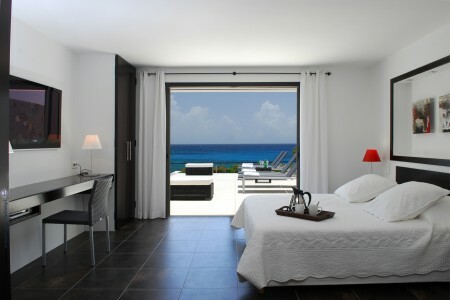 The bedrooms are large and each one has an ocean view. The pool is infinity and heated, and for the active there is a staircase down the cliff to a small beach – but be prepared to climb back up after your swim! If you prefer to get your exercise the conventional way, Seascape has an air-conditioned very well-equipped fitness room. Villa Privée was our home for 3 nights and we enjoyed the sunset view and the proximity to the Hotel Christopher for cocktails and dinner. 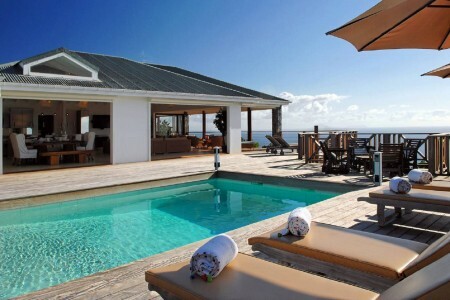 It’s a very comfortable and charming villa for two couples or a family with older children. Last fall I toured Villas Naturelle 1 and Naturelle 2 hillside in Gouverneur but they weren’t completed at the time so I was anxious to go back to see the finished product. These two – 4 bedroom villas beside one another are perfect for a large group wanting 8 bedrooms, or individually for a family or couples looking for 1 to 4 bedrooms. The villas are large and luxurious with all the extra amenities; several of the bedrooms have private pools and large private deck space. 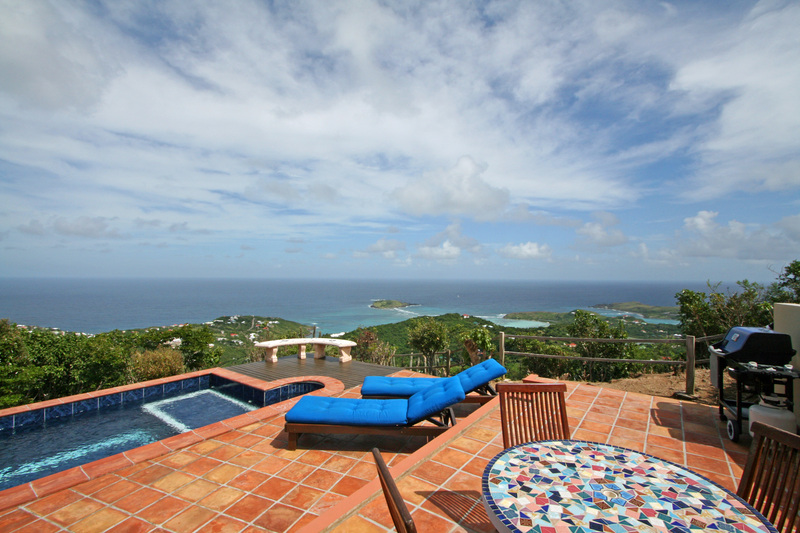 Villa Colombe in Colombier is a nice addition to our inventory. 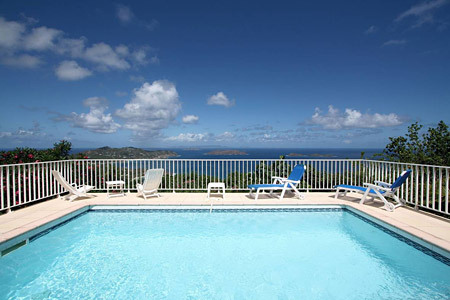 Moderately priced for those wanting a 1 to 3 bedroom house, the villa has amazing views of Gustavia and the surrounding islands, a large pool, and all the comforts indoors and out. 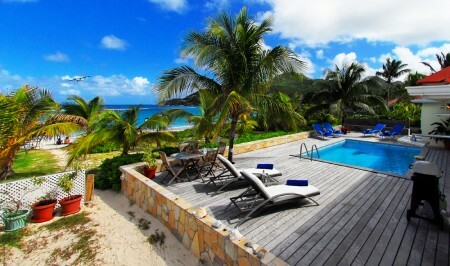 Also newly added are Clair de Lune and Reflet de Lune in Colombier. These two villas are near each other and can be rented separately with two bedrooms each or together for a family or couples needing 4 bedrooms. Both offer spectacular sunset views. From Villa Privée Julia and I moved to Crystal Dream on St. Jean Beach for three nights. 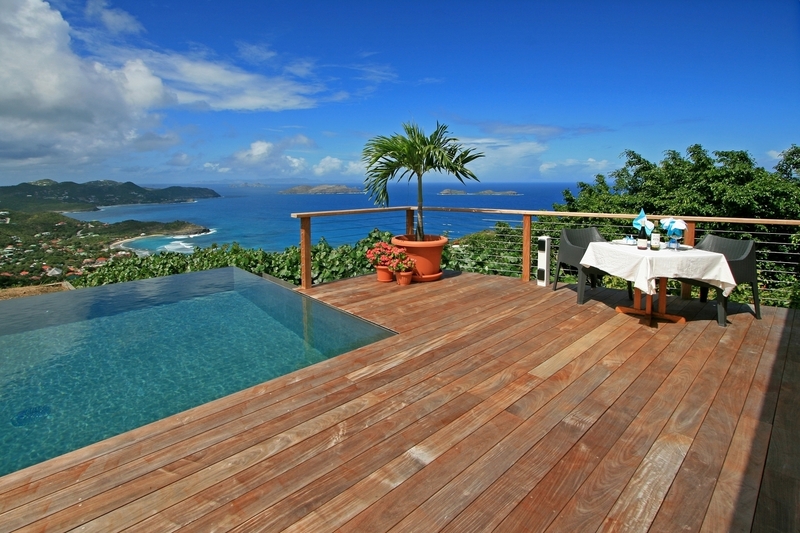 Crystal Dream is a very popular villa and for good reason. The villa has three bedrooms, two bathrooms, its own private swimming pool and is near Hotel Tom Beach with its famous La Plage restaurant and Pink Parrot bar. Villa Crystal Dream is known for having direct access to a great beach while still maintaining privacy. -Perfect. My trip report wouldn’t be complete without mentioning the wonderful meals we shared during our stay. One of my all time favorite restaurants is Le Gaïac at Hotel Le Toiny, chef Stephane Mazieres is a culinary artist. 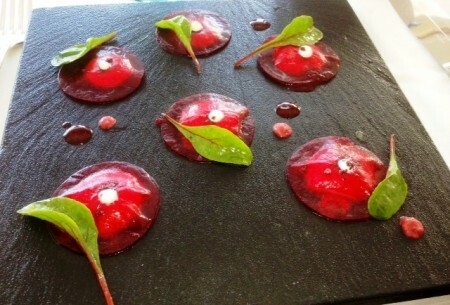 The beet ravioli starter and the chocolate mint ice cream dessert were not only beautiful but delicious. 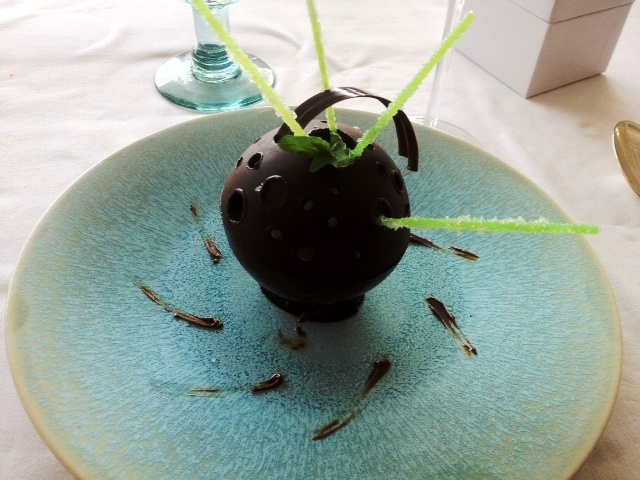 I could go on and on about the meals we ate, every one of them a treat, but you need to experience the cuisine in St. Barth yourself to fully appreciate the talent of these fine chefs. It was another successful trip to my favorite island and I was, as always, sad to leave. I look forward to going back in November. Until next time! … À la prochaine! 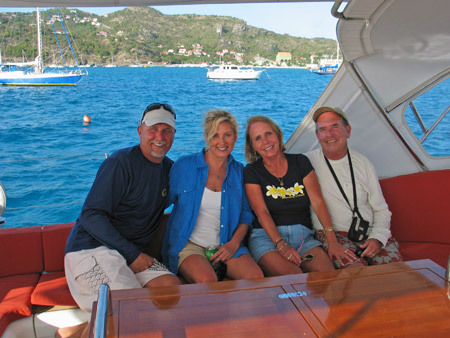 Tom, Kathy and I traveled to our favorite piece of paradise and touched down around 4:20 yesterday —Ahh just feeling the warm air as we deplaned and walked towards the arrival area put a big smile on my face. 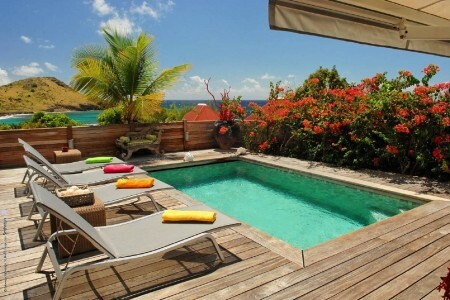 I really do love St Barth! Tom and I are staying in Villa Everest and Kathy is staying in Villa Les Embruns and then moving to Villa Crystal Dream. 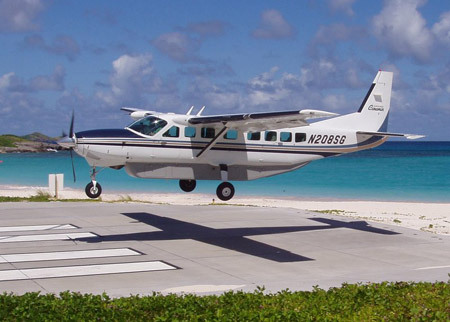 At this time of year we can take advantage of being able to fly directly from San Juan to St. Barth on Tradewind Aviation. We fly from Boston to San Juan and then take the 3:00 pm flight which is a shared charter (Pay by the seat). Their 8 passenger Caravan is air-conditioned and as a bonus, there are snacks and drinks on board! Sit back, relax and enjoy the view as you fly over the beautiful blue water and gaze down at the Caribbean islands below. 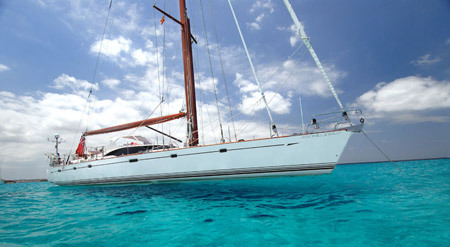 Tradewind’s shared charter prices vary depending on the day of the week and range from $395 to $595 + tax each way. 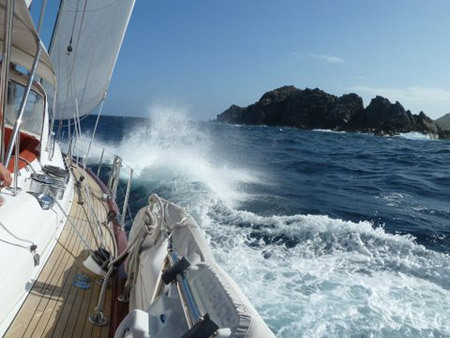 The charter schedule includes 2 trips from San Juan to St. Barth (8:00 am and 3:00 pm) and 2 trips form St Barth to San Juan (10:00am and 5:00pm). Private charters on a Caravan or Pilatus are also available. 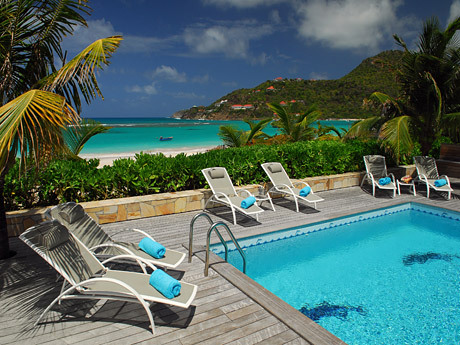 Once you have reserved your accommodation with us, you may contact concierge@stbarth.com to book. We have a full schedule ahead of us and I am very excited to see the updates that some owners have made. I will be inspecting some potential new villas and determine if we will add them to our portfolio. I will report back to you on my findings as well as any new restaurants and/or new enterprises that may be in the works. Of course, the highlight of the trip is our Land Shark Beach party at Dö Brazil on November 06. 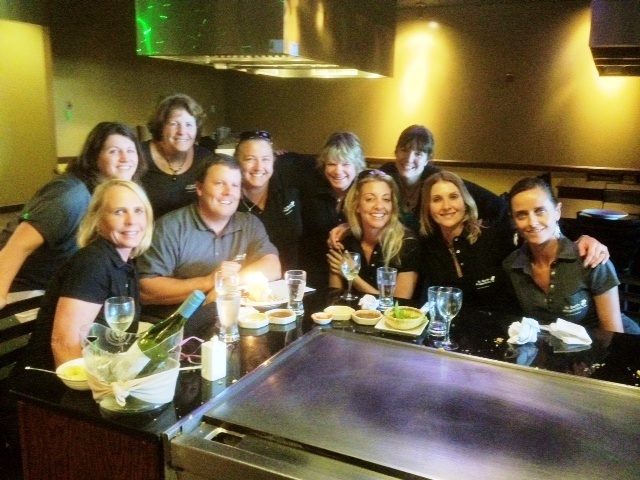 Our guest list is growing and I will give you the low down. Poor me, I have to work… not a bad job, though? Temperature is about 85° and if I get time to put my toes in the water, it will be about 75°. I would love to see you in St. Barth.